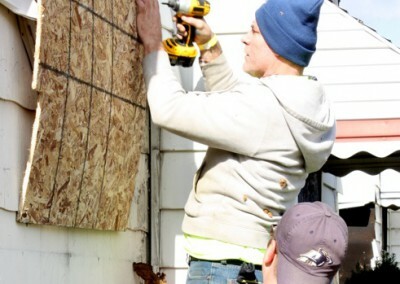 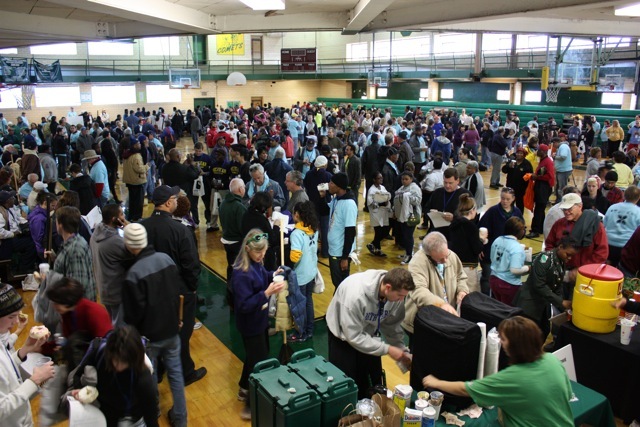 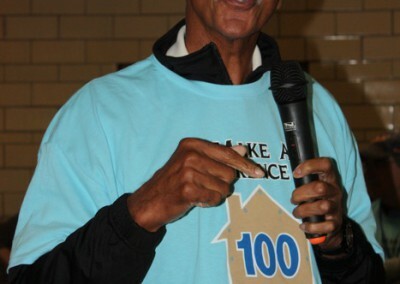 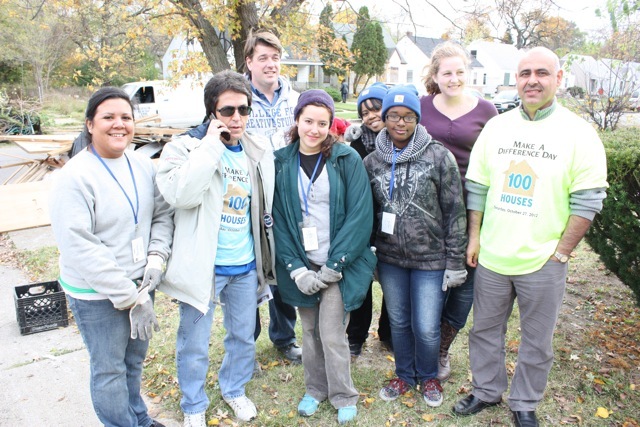 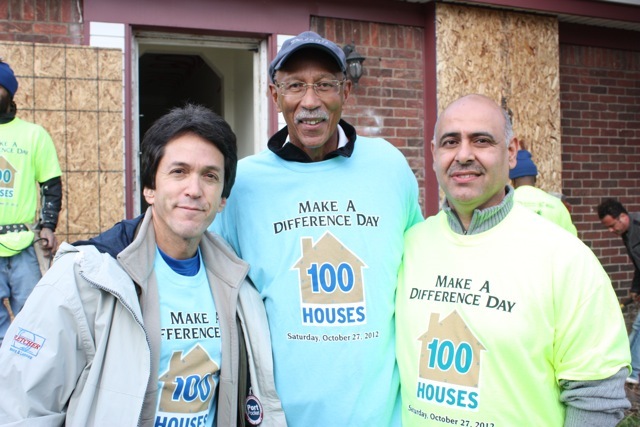 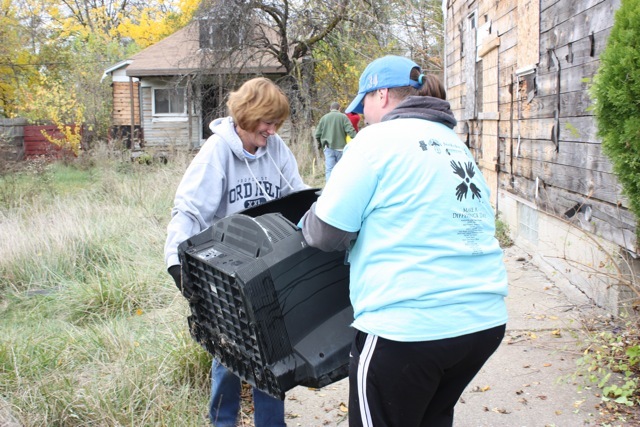 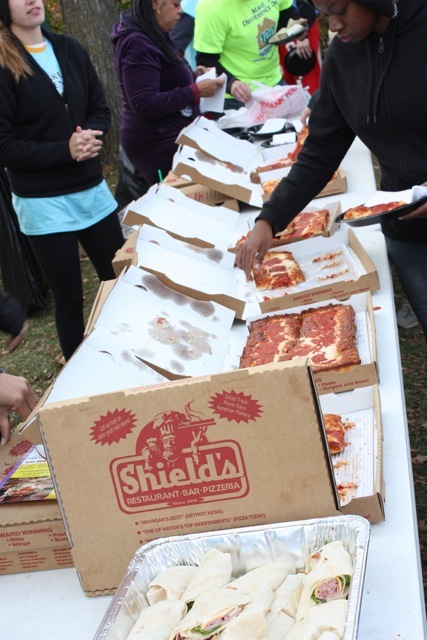 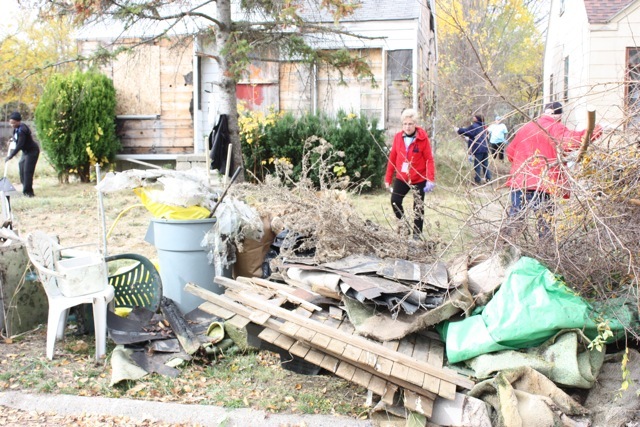 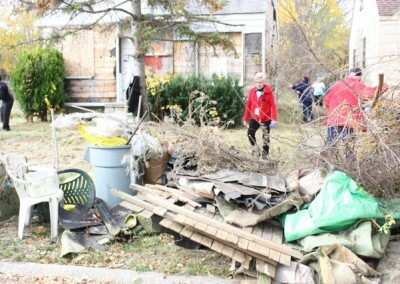 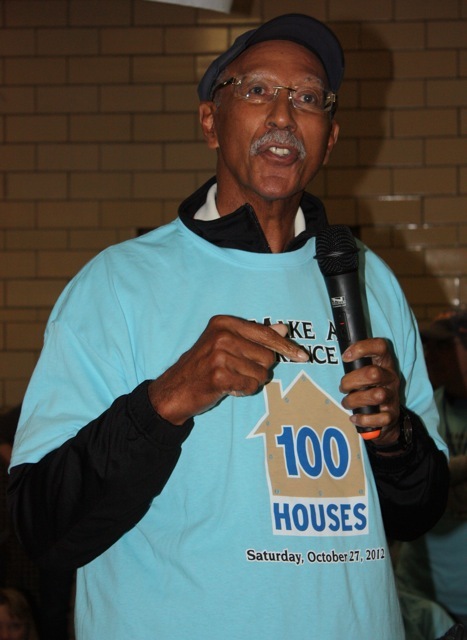 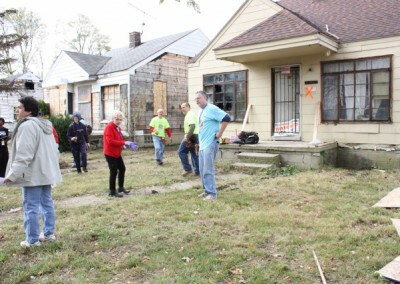 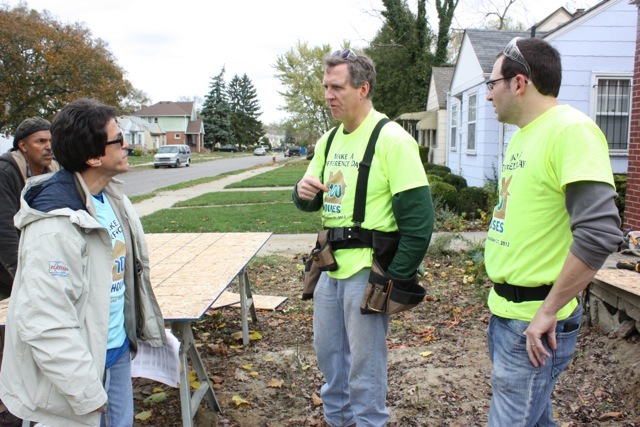 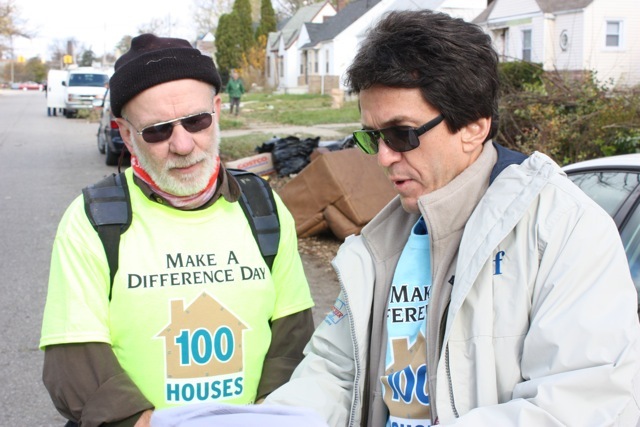 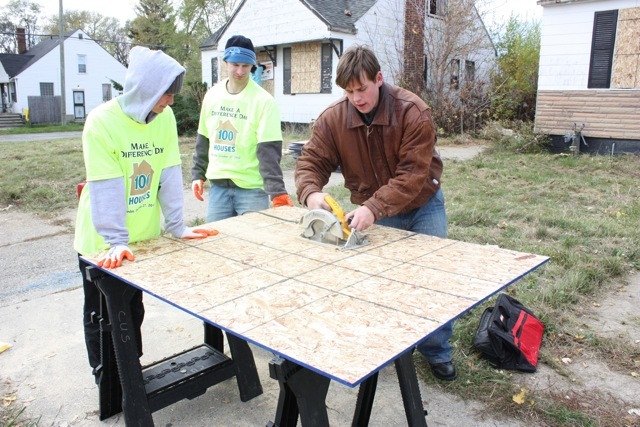 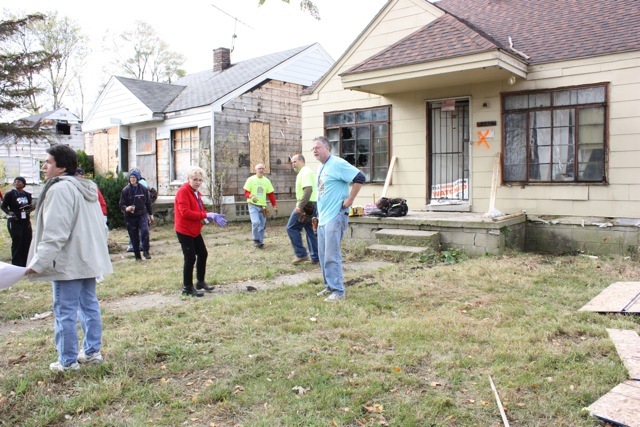 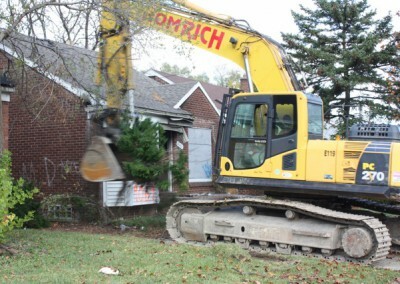 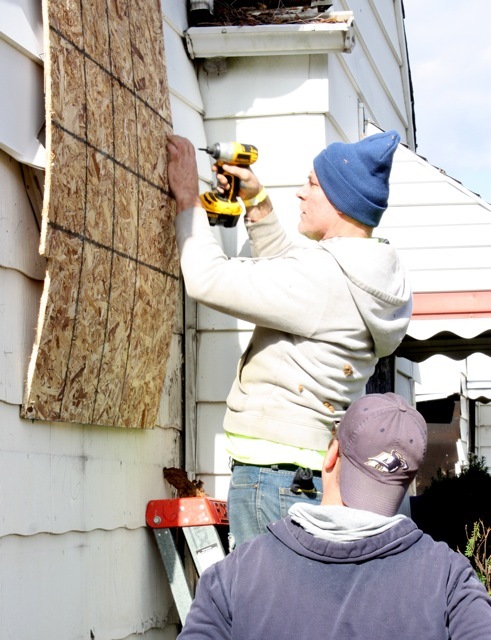 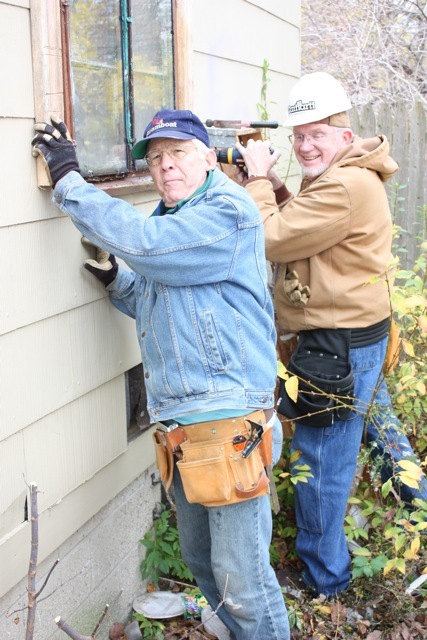 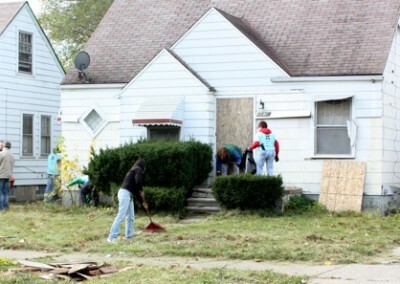 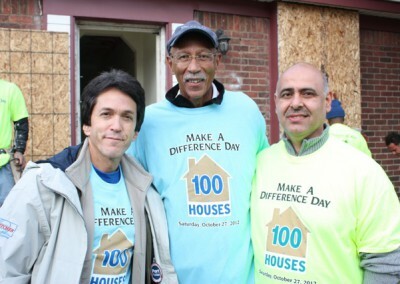 The 100 Houses Project ran its second run this past Saturday, October 27 when hundreds of volunteers gathered to safely board up 186 of the most blighted and dangerous homes in the vicinity of Cody College Preparatory Upper School of Teaching and Learning. 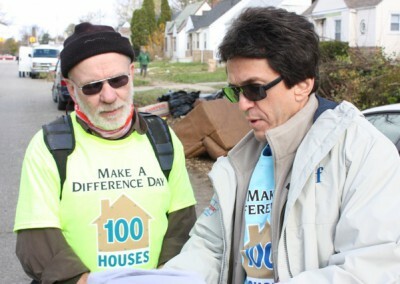 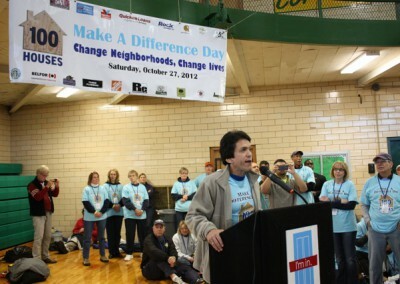 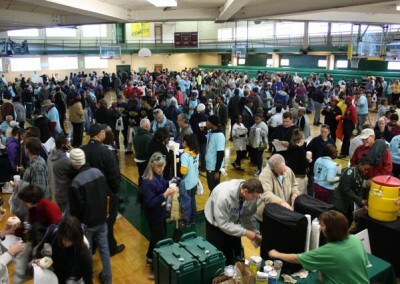 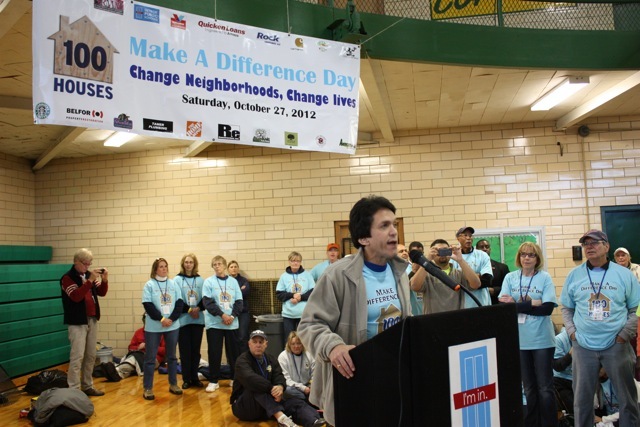 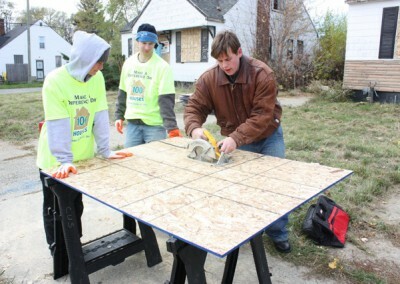 A group born of the cooperation of the Detroit Rescue Mission Ministries, Mitch Albom’s SAY Detroit and A Time to Help, Detroit Media Partnership, and Mayor Dave Bing, 100 Houses launched an inaugural project on August 25, where hundreds of volunteers in 55 teams boarded up 105 homes within a one-mile radius of Osborn High School. 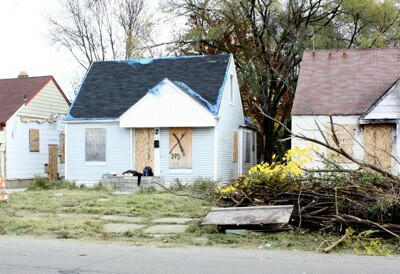 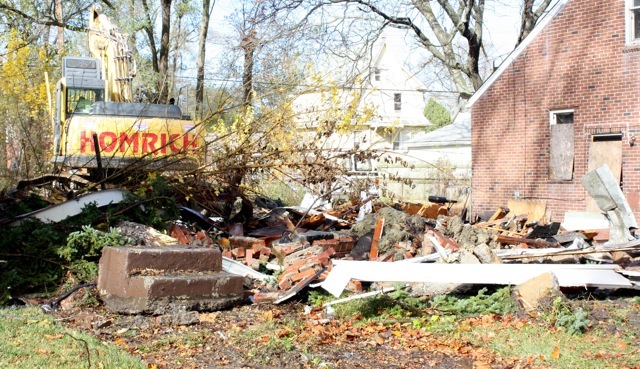 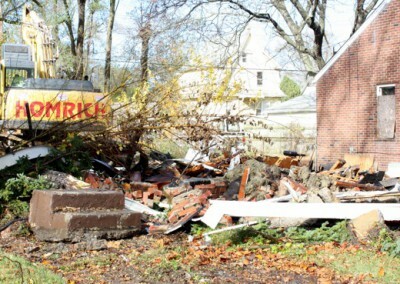 Abandoned homes are a danger to children. 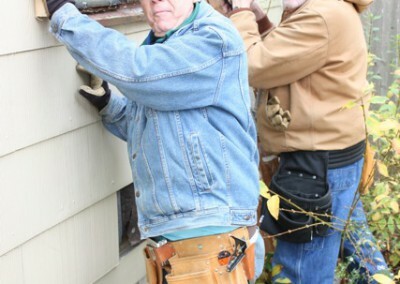 They are frequently used by drug addicts and dealers, and can also be used by those wishing to harm children. 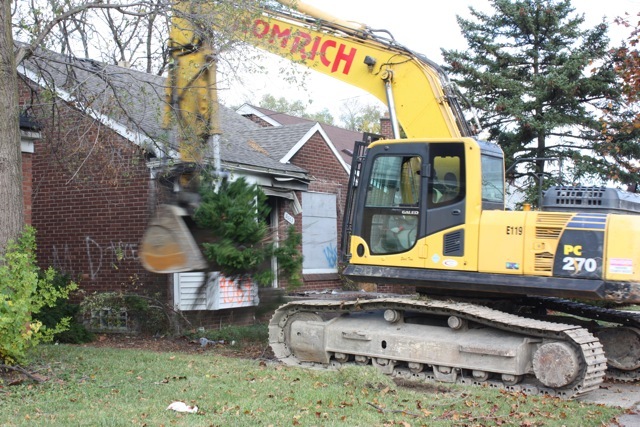 With these homes opened and exposed, the walk to and from school and playground becomes a dangerous event every day for Detroit’s children. 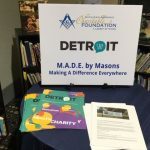 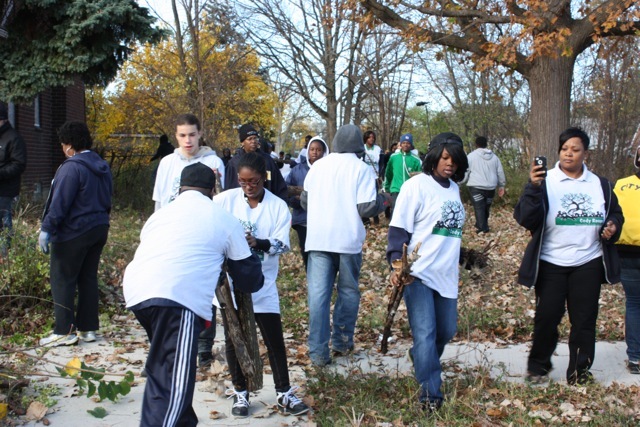 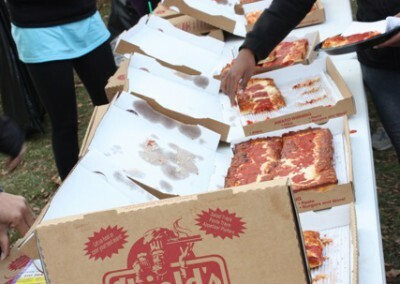 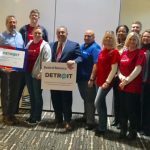 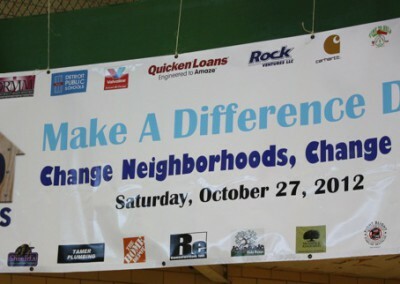 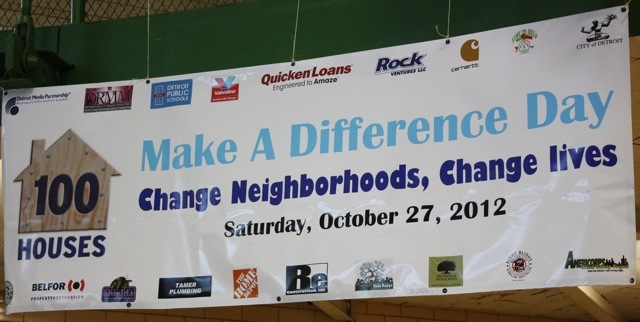 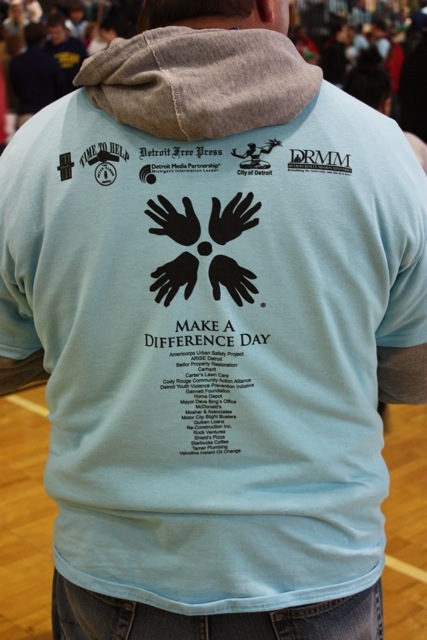 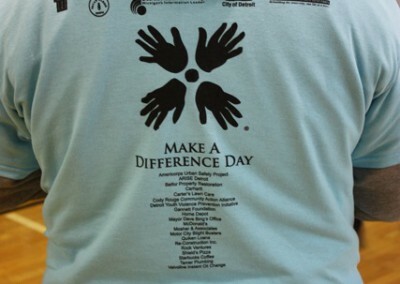 Special thanks to the Cody Rouge Community Action Alliance, Belfor, Mosher & Associates, Blight Busters, Re-Construction, Inc., AmeriCorps Urban Safety Project, Home Depot, Starbucks, The City of Detroit, and The Detroit Public Schools.